Many people in all works of life get disillusioned with whatever it is that they do, but are not bold enough to call it a day and try to find something they are passionate about. This can be said about most actors and actresses in Hollywood who end up turning to drugs or get clinically depressed. Someone who, however, did not let this become her story is actress Mia Sara who in her own words, ended her acting career after getting to her senses. On the 19th of June, 1967, in Brooklyn Heights, New York, Mia Sara, whose birth name is Mia Sarapochiello, was born to Italian-American parents; Diana and Jerome Sarapochiello. Her mother was a stylist and photographer while her father also worked as a photographer and an artist. She attended St. Ann’s School in Brooklyn. Thanks to her parents, Sara, as a schoolgirl, was able to appear in a number of commercials. In 1982, she landed a recurring role in in the daytime soap opera All My Children. Just after graduating from high school in 1985, she was cast to play Princess Lily in Ridley Scott’s Legend (1985). Her performance in the film earned her the role of Sloane Peterson in Ferris Bueller’s Day Off (1986), which gave her nationwide recognition. In the following years, the young actress who had become a known entity in the industry appeared in films and series such as Queenie (1987), Apprentice to Murder (1988), Sidney Lumet’s A Stranger Among Us (1992), and then opposite Jean-Claude Van Damme in Timecop (1994). In the late 90s and early 2000s, she appeared in The Maddening (1996), The Impossible Elephant (2001), Birds of Prey (2002-2003), and Tinseltown (2007). Mia Sara’s net worth, which according to the Celebrity Net Worth website is estimated to be around $1.5 million, is not an accurate reflection of the amount of time and work she has put into her craft. This is because Sara has appeared in over two dozen movies since she made her film acting debut in Legend (1985). Another point is that other actors, such as a young Tom Cruise, who was making a name for himself in Hollywood when he played the lead male role in the aforementioned movie, has gone on to achieve so much more, including having a net worth that runs in hundreds of millions of dollars. Following her marriage to Henson, Mia Sara gradually took a step back from acting to focus more of her time to her family. While at home, the former teenage sensation officially retired from acting in 2013 and begun to pursue her interests in writing and poetry. Her works have since been published on platforms like The Superstition Review, Helix, Poemmemoirstory, The Summerset Review, The Write Room, among others. Mia Sara was only able to win one award in her career. In 1995, the Academy of Science Fiction, Fantasy and Horror Films presented her with the Saturn Award for Best Supporting Actress for her role in Timecop (1994). Mia Sara is currently in her second marriage. Her first marriage was to English actor and director Jason Connery, who is the son of the legendary English actor famed for his role as James Bond, Sean Connery, and his first wife, Australian actress Diane Cilento. 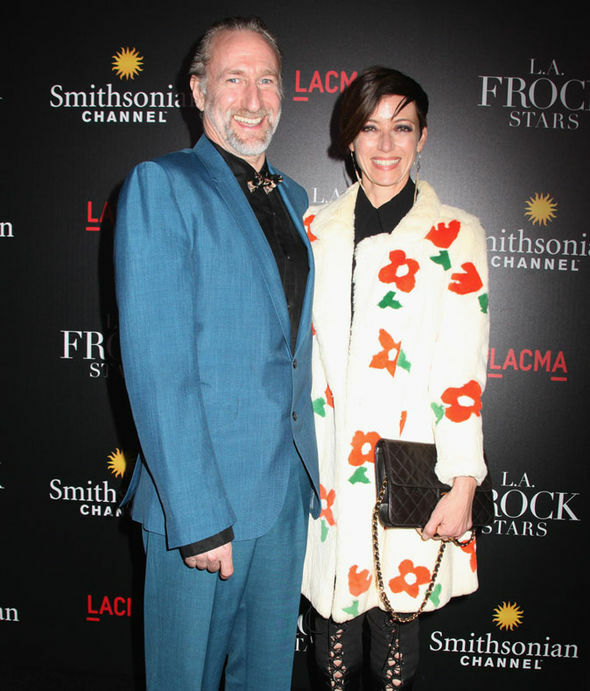 She is now currently married to American puppeteer and filmmaker Brian Henson, who is the son of the creators of The Muppets Show, Jim and Jane Henson. Sara is said to have met Connery in 1995 during the making of the film, Bullet to Beijing. The two hit it off and a year later decided to exchange marital vows. In June 1997, they welcomed a son named Dashiell Quinn Connery. Their marriage lasted for five more years before they opted to call it a day in 2002. In 2010, eight years after signing divorce papers, Sara gave marriage another go by walking down the aisle with her long term partner, Jim Henson, whom she had already welcomed a daughter named Amelia Jane Henson with. It is not clear when and how the two met each other or began dating, however, she had in 2001, a year before her divorce, appeared in Jack and the Beanstalk: The Real Story, a movie which he directed. Mia Sara, who has dark brown hair and eye color, stands at a height of 5 feet 4 inches (1.63 m) and weighs around 52 kg. Her other body measurements are said to be 30-23-33 inches.